Hello! So I've been on Upwork for a couple weeks now, and (as reccomended) have been submitting a plethora of proposals for jobs that I KNOW I am qualified for. I know it hasn't been long but, I would really love some feedback and/or advice on my profile. How can I stand out? How can I convey my qualifications and value? How do I get a client to take a chance on me given that I haven't a "reputation" yet? I feel like you need to work on your title "skilled writer". As you're a writer, you can definitely make it more attractive and explanatory. See other freelancers titles for a better idea. Also, you should give some upwork tests as per your niche. Let me share my little wisdom! 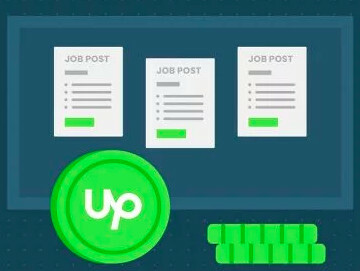 Since I joined Upwork, I have seen the effect that lack of feedback or previous work experience has on your chances of landing new jobs. Most clients (not all) rely on prior feedback to make a hiring decision. Although there are chances of getting your ideal job/client as a new freelancer, those chances are slim. 1. Only apply to jobs you are cocksure you can ace from the word go. However, don't go overboard with your asking price. That's where I find most of us go wrong. In my neck of the woods, as a first-time employee/worker, you start on probation with a salary way lower than you would get after proving yourself. 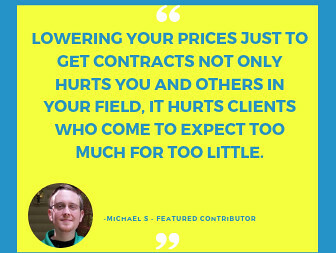 In other words, to get that first job and feedback, consider charging less than you normally would, prove your worth by delivering beyond expectations and get awesome feedback. Then you can gradually increase your rates with subsequent jobs. 2. Get a portfolio. If you are a writer, publish a blog post or two on platforms that only need you to register so you can submit articles. Then you can use those as samples. There are tons. 3. 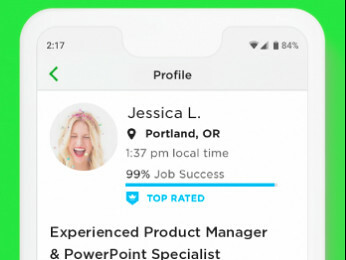 Did you know that you can make a video as part of your Upwork profile to show your skills and tell your clients why they should hire you for their tasks? You can! And unfortunately, this is one feature that most of us freelancers overlook, but one that works wonders if executed well. 4. Try and vary your title or have something like [Blog writer|Article writer|Content writer]. With those three, clients can find you if they search using either unlike your current title as a skilled writer. You know what I mean? I might be missing something, but these should at least get you rolling in the right direction. NB: I try to apply to newer jobs that have less than 5 applicants, and also look at the clients hiring past. Have they hired before? How often? What kind of feedback do they have from prior hires? What kind of feedback do they give? All these will help you choose good jobs and clients.